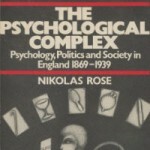 A copy of Nikolas Rose’s paper Unreasonable rights: mental illness and the limits of the law is now available to download. This was originally published in the Journal of Law and Society, 1985, 12: 199-219. I am delighted to say that my first book, The Psychological Complex, has been digitised thanks to Michael Zyphur (University of Melbourne) and is now available here in full, to be downloaded and read (but not printed). Long out of print, I thought this was the best way to make it accessible. Based on my PhD thesis, let me know how it reads after thirty years! Professor Rose delivered a seminar at the European Molecular Biology Laboratory, Grenoble, on December 3, looking at “The New Big Science of the Human Brain: Social and Ethical Implications”. The subsequent interview with Radio Campus, English Talk Radio, can be listened to here. 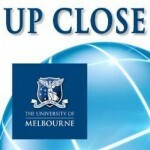 Speaking to Up Close, the audio talk show of research, opinion and analysis from the University of Melbourne, Nikolas Rose explores how scientific developments have changed conceptions of human identity and governance, and what this means for our political, socio-economic and legal futures. 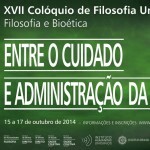 Nikolas Rose’s latest series of talks have taken him to Brazil, with three lectures delivered at the XVII Col?quio Filosofia Unisinos – the theme of which was Philosophy and Bioethics – in S?o Leopoldo and a public lecture of “Mental Life in the Metropolis” at the State University of Rio de Janeiro. 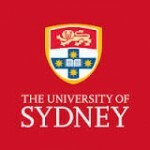 Completing his round of talks in the Southern Hemisphere, Nik Rose delivers the lecture, Mental life in the metropolis: urban brains urban lives and the embodiment of urbanity, at the University of Sydney (August 26). The Australian National University, Canberra, is the location for The mind transparent: reading the brain the following day. Nikolas Rose delivers the keynote talk at Competing Responsibilities: The Politics and Ethics of Responsibility in Contemporary Life Conference, Victoria University of Wellington, New Zealand (August 15-17). 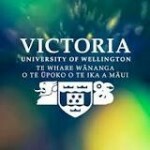 The following week, Professor Rose holds a public lecture (Mental life in the metropolis) and anthropology seminar (The mind transparent) in Auckland. 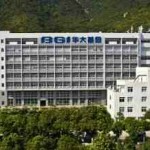 Visiting Beijing Genomics Institute in Shenzhen (June 28), Professor Rose presents a talk on Genetic biomarkers in psychiatry and social/ethical issues in neuroscience. On July 2nd, he presents the paper Users in Psychiatry ? beyond the monologue at the International Centre for Mental Health in Shanghai. 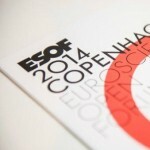 Professor Rose gives the bioethics perspective during a panel debate at ESOF Copenhagen 2014 on the EU Human Brain Project and US Brain Initiative (23rd June), moderated by Alison Abbott from Nature. The following day, Andreas Roepstorff, Armin Geertz, Cordelia Fine, Martin Ingvar, Nikolas Rose and Siri Hustvedt discuss Minding Humans.